THE 2015 ELECTIONS HAVE CLOSED. THE NEXT ELECTIONS ARE SCHEDULED FOR 2019. Aytzim's Green Zionist Alliance is the first and only group focused on the environment to ever participate in the World Zionist Congress. In 2015, Ayztim's Green Israel slate secured on seat at the 37th World Zionist Congress; the GZA secured three seats at the 36th World Zionist Congress in 2010; two seats at the 35th World Zionist Congress in 2006; and one seat at the 34 World Zionist Congress in 2002. 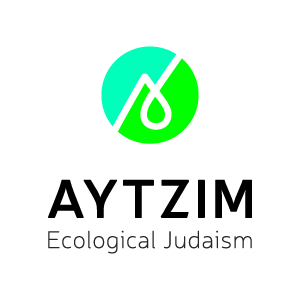 Aytzim's Green Zionist Alliance has been embraced by all streams of the Zionist movement — left to right, secular to orthodox — leading to what many referred to in 2006 as "the Green Congress." Though our Congress delegations have been small, we have passed seven environmental resolutions at the last two Congresses, and we have appointed some of Israel's leading environmental activists to the board of directors of Keren Kayemet L'Yisrael / Jewish National Fund in Israel.